This Briefing reviews the key challenges and opportunities for enhanced nutrition of relevance to the agricultural sector in ACP countries, provides lessons learned from research and practice, and explores drivers of successes in nutrition programmes at national level. This Briefing discusses successes and shared lessons from the farmer-led agricultural research, by emphasizing its impact on the livelihood of the people and its key role to improve food and nutrition security. International experts and agriculturalists discuss the concept to resilience, and draw attention to proven approaches and instruments around some key areas of special benefit to the small-scale farmers in African, Caribbean and Pacific (ACP) countries. International experts and agriculturalists discuss the key concepts, challenges and opportunities for agriculture and food security in relation to climate change, and presents a set of proven innovations to deliver climate-smart agriculture in African, Caribbean and Pacific (ACP) countries. International experts and agricultural practitioners discuss the causes and extent of food losses in African, Caribbean and Pacific (ACP) countries, and the strategies to prevent and reduce food waste. International experts and agricultural practitioners discuss how to reduce vulnerability and enhance resilience for SIDS in Africa, the Caribbean and the Pacific (ACP) , and how to enhance Sustainable Development of small islands. International experts and agricultural practitioners discuss policies and instruments to tackle food price volatility in African, Caribbean and Pacific (ACP) countries, the implications of food price volatility on the ground, and suggest what urgent actions are needed to combat this. International experts and agricultural practitioners discuss key challenges and opportunities for nutrition security in African, Caribbean and Pacific (ACP) countries, and the policies and actions to improve the linkages between agriculture and nutrition. International experts and agricultural practitioners discuss the water challenge for agriculture and food security in African, Caribbean and Pacific (ACP) countries, and consider what policy options and future governance to secure water for all. International experts and agricultural practitioners consider the new challenges in the global food system and African, Caribbean and Pacific (ACP) country agriculture, and consider what policy options and future governance are available to secure food for all. 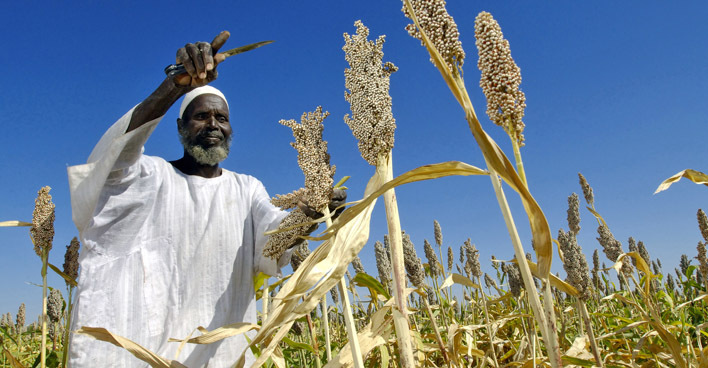 The Briefing examined the domino effects of increased speculation in food markets (How has the global food and financial crisis affected food production and distribution and the food security of the poorest? Is global food production at risk in the medium and long term and will national food security and food sovereignty be the priority over global food availability? Is the small-scale farming more effective and resilient in times of crisis in least-developed countries?) and what realistic policy options can secure food supply and availability at global and local levels. – Rising food prices: an opportunity for change? International experts and agricultural practitioners review the causes, trends and determinants of the food prices crisis from a development perspective, with special focus on ACP countries and on the rural households and small-scale farmers. The Briefing also considers policy options and actions at medium and long term that the international community, regional organisations and governments have to take as to ensure food security. International experts and agricultural practitioners review the emerging key issues for ACP countries from Rio to Bali, and the impact of climate change on rural development. 30th Brussels Briefing: Akinwumi Adesina, Honourable Minister of Agriculture, Nigeria from CTA on Vimeo.